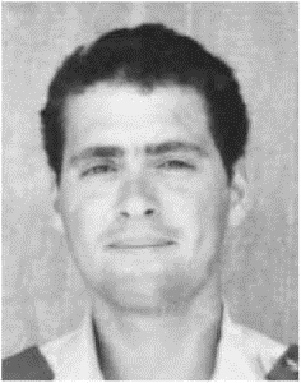 Yehuda-Arie, son of Maltiya and Eliyahu, was born in 27.4.1951 in Ramat-Gan. He was named after his late uncle Dudu, brother of his father, who was the commanding officer of Hish which was flown from Tel-Aviv to aid the protectors of the besieged Gush-Etzion and fell in battle on 13.5.1948, night of the founding of the State. When Arie was one year old his family moved to Moshav Hemed. He first attended the Moshav's state-religious school and later on moved to "Moria" elementary school in Tel-Aviv. The combination of Judaism values and Zionism individualized the house he was raised in. His grandfather and grandmother from his mother's side, who came to Israel with the immigrants of the second and third Aliya, founded a house where values of the Jewish religion and faith in Israel's God came together, alongside belief in the renewal of the nation in its state and the establishment of the Jewish state. The family members were part of the project of Aliya in Israel as well as part of the fight for the founding of the state. Arie grew up in this environment, absorbed these values and worked and lived by them. He passed the years of his childhood in Moshav Hemed, in a large garden between green field plots. He was his parents' oldest son and together with them experienced the difficulties standing before a young Moshav that tried to become established and flourishing, in the state of Israel's first and tough years. Arie, who was called by all – Arik, was discovered to be an attentive and developed boy. He was an exceptional pupil who was perceptive and possessed methodical and clear thinking. Owing to those qualities he managed to successfully finish his studies at school and at the yeshiva for high-school students. He also possessed a sensitive and gentle soul and was endowed with the qualities of an artist. When he turned ten he participated for the first time in a drawing class and since that moment he was drawn to this field of art, and managed to express his feelings in paintings. He was a member of the "Bnei Akiva" youth movement and when he attended the yeshiva for high-school students in Nechalim he served as an instructor in the movement's Lod and Moshav Hemed's bases. He loves his country and went on many travels and tours. He explored new sceneries any chance he could, searching for beautiful places. Arie was drafted to the IDF on May 1969 and was stationed to serve in the armored corps. After finishing boot camp he completed tank gunnery course as an excelling student and was sent to serve in a tank battalion, in the south sector of the Suez Canal. On March 1970, during the War of Attrition, he was injured while patrolling along the length of the canal. A reporter for the "Turei Ha'Ugda" booklet that came out on June 1971, wrote about the circumstances of his injury: "In front of me seats a guy in silence, but it feels that he has something to say. His friends turn to him: Chen-Zion, tell us how you got injured. And Chen-Zion relates: one time we led a battery patrol and passed over an Egyptian ambush. We kept riding when suddenly the tank was hit by a shell on the left side of its turret. I didn't know what was happening to me but after a moment I found myself in an awkward position, my head bent and around me a lot of smoke. I came off the tank and after me the medic also came down and started treating me… where were you hurt? In my hands, face, legs. And around us a hail storm of bullets. I have never seen anything like this before. I was evicted to the stronghold where I received medical treatment. I heard how they ordered a helicopter in order to evict the wounded and said: great, for the first time in my life I get to ride in a helicopter. Three weeks later I returned to my unit." Arie indeed returned to the unit even before his wounds fully healed, faltering on his feet and wearing sandals. He completed a communications NCO course with honors and returned to his unit in the canal sector in order to continue his army service. At the beginning of May 1972 Arie was released from the mandatory service and was stationed in a reserve unit of the armored corps. After his release he began working at the "Migdal" insurance company as a safety pollster. He attended the Department of Economics at the Faculty of Humanities in Bar-Illan University, and successfully completed his first year of studies. At the same time he held a full-time position in the insurance company and fulfilled his social and familial obligations with peace of mind and high spirits, as testified by one of his educators: "blessed with many talents, righteous and humble." At the time of the closing prayer on Day of Atonement, Yom Kippur of 1973, he was called to his unit that was sent to fight in the battles of defense holding against the Egyptians. In the difficult battle that took place in front of the "Chinese Farm" on 17.10.1973, his tank was hit by a rocket fired by the enemy and he was killed while loading the canon for counterstrike. He was brought to burial in the cemetery on Har-Herzel, Jerusalem. He left behind parents, four brothers and a sister. After he fell he was promoted to first sergeant rank. In a condolences letter to the bereaved family, his unit's commanding officer wrote: "your son, first sergeant Yehuda Arie Chen-Zion, served in an armored unit and went to battle as a loader in a tank. Your son showed courage, resourcefulness and level-headedness in the fighting against the enemy's tanks and infantry formation in the area of "Television" stronghold. The character of first sergeant Yehuda will forever be engraved in our memories, his brothers in arms." His parents donated a bible in his memory to the synagogue; his school friends at the yeshiva commemorated his memory and the memory of his "Nachal Yizhak" yeshiva student friends, who fell in Yom Kippur War, by donating a bible to the yeshiva's synagogue; Moshav Hemed commemorated the memory of Yehuda-Arie as well by naming the community-center after him. Son of Sarah and Shabtai, born on 1.1.1958 in Petach-Tikva. Gil was the second son in his family. His talents were discovered already while he was attending kindergarten, and so he began attending elementary school earlier than he was meant to. He attended "Piika" elementary school and "Handesaim" high school in Ramat-Aviv, Tel-Aviv. Gil joined the school of the Scouting movement and over time was appointed counselor of Scouting branches in Or-Yehuda, Petach-Tikva, Ramat-Ef'al and Ramat-Ha'Sharon. He was among the founders of a Scouting branch in Shearia district that's adjacent to Petach-Tikva. Later Gil helped his friends in the Scouting "Reim" troupe, whose goal was to volunteer in development towns. The troupe volunteered in Mitzpe-Ramon. He liked journeying the country. There was no road, stream or cave he did not visit. He also educated his Scouting branches members in love of the country. His hobby was touring Yehuda desert, which he knew well. He helped with archeological digs in Ramat-Ha'Golan. Gil loved math and physics and devoted himself to bird-watching and the natural sciences. In the third grade of elementary school Gil won first prize in philately. He liked to work and earn money. At a young age he worked at flower transportation and he used his earnings in order to buy presents for his family members for special events. 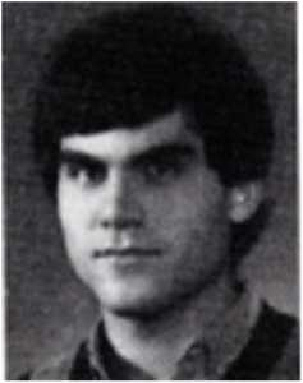 On July 1978 he was drafted to the IDF and served as an engineer in the air force. Gil underwent a preparatory course in the technical school of the air force which lasted 9 months. He finished the course with honors. He later moved to a piloting course, which also lasted 9 months, however he preferred to move to a computer maintenance unit in the air force. Gil studied computer programming and also volunteered to another unit in the same profession. At the same time he signed-up for courses in the Tel-Aviv Open University, excelled in his studies and was highly evaluated. Despite his demanding work in the IDF and his studies, Gil didn’t abandon his hobby and continued traveling the country on his vacations. He also managed to assist his friends and movement members with their studies. He himself participated in several courses, was promoted to corporal rank, and in June 1979 was promoted to sergeant rank. On November 1980 Gil was about to be accepted into Engineering Studies for B.A. in Tel-Aviv University after receiving permission to do so from his superiors in the IDF. On September 1980 he went on a short vacation and used it to visit Mitzpe-Ramon. On 7.9.1980 Gil was preparing to go back to his base. He went at dawn from Mitzpe-Ramon in a civilian Jeep, and on his way, in Mash'abei-Sade-Ktziut road the Jeep hit a civilian truck. Gil was killed in the accident. He was 22 years old in his death. His unit's commanding officer wrote of him to his parents: "Gil served in my unit for 16 months in different positions, as a technician, as shift-manager and for a short while as deputy platoon commanding officer. In all of the positions he served he showed responsibility, devotion and dedication to his goals. He was very knowledgeable in his profession, an excellent technician. He was a friend and a comrade to those who worked with him, was liked by all, and in his smile and cleverness induced a positive atmosphere on his surroundings. Gil was buried in the War grave in Petach-Tikva. He left behind parents and two siblings. Two booklets appeared in his memory, by his friends in the Scouts movement and by his family. Fell on 10.9.1982, 19 years-old in death. Son of Penny and Yoseph, born on 25.10.1963 in Turkey. In 1970, when he was seven years old, he made and Aliya with his parents to Israel. The family first settles in Hulon, where he began attending elementary school. Later his family moved to Ramat-Aviv in Tel-Aviv and he continued his education, first in "Ki"ch" elementary school and later in "Handesaim" school, where he completed his high school education. On February 1982 he was drafted to the IDF and served in the armored corps. Several months after he finished boot camp, Shlom Ha'Galil War broke and Shlomo went with his unit to Lebanon. On 10.9.1982 he ran into a terrorist ambush, was shot and subsequently killed. He was 19 in his death. After he fell he was promoted to corporal rank. Shlomo was buried in Kiryat-Shaul War Grave in Tel-Aviv. He left behind parents and a brother. Minister of Defense Ariel Sharon wrote about him in a condolences letter to his parents: "Corporal Shlomo Gabai gave his life for his country. He fell in Marathon route which is in Lebanon valley, in a terrorist ambush. He served in the armored corps and possessed leadership skills as well as high-motivation." His unit's commanding officer wrote about him to his family: "Shlomo joined the company and immediately stood out for his leadership skills and the decisiveness of his decisions. He demanded much from himself and from his friends and many organizational missions were places upon his shoulders. Shlomo talked lovingly about his family." Fell on 22.10.1973, 32 years-old in death. Mordechai (Dudu), son of the late Rosa and Yosef, was born on 18.1.1941 in Sarajevo, Yugoslavia. When he was six months old his family escaped Yugoslavia, and after two years of wanderings, hardships and suffering the family made an Aliya in 1944. Mordechai began his elementary studies in "Borochov" school in Ramat-Gan and concluded them in "Hashmonaim" school in Ramat-Gan. He then finished his high-school education at the practical track in "Kalai" high-school in Givatayim. Dudu, as he was affectionately called by his friends and acquaintances, was a member of Ha'Shomer Ha'Tzair youth movement in Ramat-Gan. He was very active in the everyday life of the group's base and took part in every social event in it. He was also active in the movement's ideological areas – he always came to the movement's activities dressed in full "Ha'Shomer" uniform and always knew more than any of his friends about the movement's values, the idea of fulfillment as well as life in the Kibbutz. Even as a young boy it was clear to him that he would live his life in a Kibbutz framework for he was a principled man who knew exactly what he wanted, and what his place his life was. Dudu dedicated a lot of time to the game of chess and excelled in it. He played with an abundance of devotion and gave up on school life and recreational time in order to dedicate many hours to playing the game. He insisted on attaining excellent achievements in every field he was involved with and succeeded in doing so. He always tried his hardest to realize the goals he set for himself, physical as well as ideological, and acted out of devotion and faith – and most of the time even succeeded in achieving his tasks. He was endowed with a sharp mind and excelled in problem solving; therefore, he particularly loved the subjects of math, physics and the exact sciences. After the completion of his high-school studies he joined a Nahal group that for completions went to Kibbutz Yad-Mordechai. Mordechai was drafted to the IDF in the middle of October 1959 and was stationed in the parachuted Nahal. For a short while he served in the Kerem-Shalom settlement. After he underwent boot camp and completed a parachuting course and an artillery NCO course he continued serving in the role of an artillery NCO in the parachuting unit. While in the parachuting course, his father passed away, at which point he went through a rough period, however he insisted to complete the parachuting course. In all the years he served he was endowed with excellent fitness which was the result of a strong will-power. Despite the many hardships in training and exercises he never gave up and always completed his tasks, even those well above his strength. Dudu was an excellent soldier although at the same time he was dismayed with the system of duties the army imposed on those serving in it. For this reason he never aspired to achieve a commanding position and scrupulously played the role of an ordinary soldier with loyalty and responsibility. He was endowed with a mature manner and a wise attitude towards things and besides his mature physical appearance he had much wisdom, solid stances regarding various issues and characteristics which individualized him among his army friends. He was also endowed with an exceptionally sharp and witty sense of humor. Thanks to his easy-going nature, his optimism and his kindness he made many friends and never got into arguments with his army friends. His peace of mind and wonderful quietness did not abandon him for a moment, even in the toughest of times. After he was released from the regular service Dudu went on to serve in a unit of the spatial defense force, due to an operation he underwent in his shoulder, and therefore fought in the Six-Day War not as part of his mother-unit. After the war he requested (despite the physical difficulties the process involved) to return and serve in the parachuting unit, where he continued to serve throughout his reserve duty. In this framework he also continued to parachute as part of the training. Dudu returned to Kibbutz Yad-Mordechai and chose to work in the citrus growing branch. In the frame of this work he excelled mainly in planning, execution and solving various problems that arose during the work. In 1964 he married his girlfriend Mira and later they had two children – Micha and Zohar. Dudu was a wonderful husband and father and dedicated many hours to his wife and children with patience, dedication and love, which became a byword in Kibbutz Yad-Mordechai. He managed to create a special connection with his son Micha that was based on mutual admiration, many mature conversations and shared interests between a father and his son. After years of life in an agricultural settlement one of Dudu's dreams came true – he was sent to study in the Handesaim school (School of Engineering) in Tel-Aviv University. In the beginning he had a hard time returning to the school bench after so many years, but he managed to overcome his difficulties due to his immense diligence. He insisted in understanding everything he learned to the core and often argued with his teachers. He studied very hard – often exercising into the night in order to complete the quota of his studies. After he finished two years of education successfully he became integrated in the Kibbutz Yad-Mordechai electronics factory in his profession: electronics engineer. In Yom-Kippur War Dudu fought in the battlefront of Ramat Ha'Golan against the Syrians. 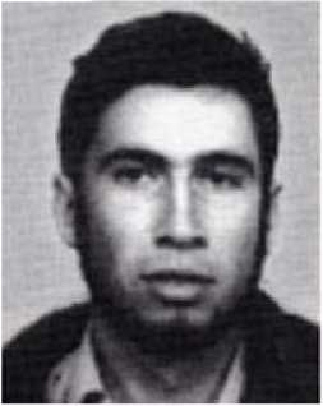 During the military occupation of the Syrian Hermon post, 22.10.1973, he was injured in an exchange of fire with Syrian commando soldiers and was subsequently killed. He was buried in Yad-Mordechai's cemetery. He left behind a wife, a son and a daughter, a mother and a brother. After his death he was promoted to Corporal rank. Kibbutz Yad-Mordechai issued a booklet in his memory that includes words from his friends regarding his character in the Kibbutz, military and private life. From: Izkor… Tel-Aviv, Ministry of Defense – Publishing, 1995. Fell on 23.6.1982, 29 years-old in death. Son of Rivka and Tzvi, born on 23.10.1952 in Raanana. Tzach went to an elementary school in Raanana, continued to study in "Ochovsky" high school, and completed his studies in the social track. Tzach was naturally optimistic in spirit and always ready to help other. Tzach was serious and yet cheerful and with a sense of humor. 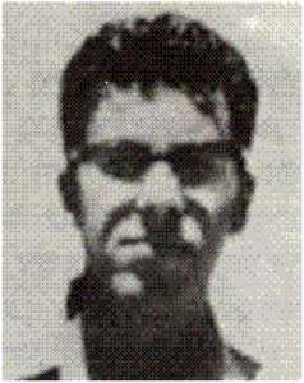 In February 1972 Tzach was drafted to the IDF and served in the infantry. After finishing boot camp he went through a parachuting course. In April 1973 Tzach completed the Squad Commanding Officers course and was promoted to a Corporal rank. He fought in Yom-Kippur War and was part of the first force to have crossed the canal. Tzach fought in the tough battle that took place in the Chinese farm, and during the war was promoted to Sergeant rank. Towards the end of his regular service he was commemorated by his commanding officers in his release certificate: "performed his duties on the best side, responsible, orderly, can be trusted with any task." He was promoted to First Sergeant Rank. After his release from the IDF, Tzach started attending the Hebrew University's Faculty of Economics and Political Science. At the same time he worked as a security officer at the Jerusalem "Hilton" hotel. After two years he went on an extended tour of the southern-America countries, and when he came back he married Tami. In 6.7.1979 his firstborn son Tom was born. In his last year of life Tzach devoted himself to building his house in Jerusalem's Ein-Karem neighborhood. With his own hands he worked on the house he did not get to inaugurate. Tzach fulfilled his duty to the IDF's reserve service and during this service was promoted to Sergeant Major rank. His commanding officers commemorated him: "an exceptional soldier, possessed a strong character, asks hard questions in order to clarify goals, nonetheless a full partner in implementations, retains a private corner in any situation, very wise, a unique conversationalist, represents the variety of this army, which also includes people who in their characters are not army people." When the Lebanon War broke out, Tzach was part of the force that fought in the central sector of the Manchuria area, adjacent to the Beirut-Damascus highroad. He commanded the leading force, also in hand to hand combat. On Monday, 23.6.1982, his unit was badly bombarded with Syrian Katyusha rockets. Many soldiers were injured, among which was Tzach who was mortally wounded. He was 29 years old in his death. He was buried at the military cemetery on Mt, Herzel in Jerusalem. He left behind a wife – Tami, a son – Tom, a mother and a sister – Dina. Two weeks after his death, his second son – Matan, was born. In a condolences letter, sent by the Minister of Defense, was written: "Sergeant Major Tzach Goldhand gave his life for his country. He fell in Manchuria, Lebanon. He was a soldier whose unique character stood out, who was independent in his opinions and a wise conversationalist." His unit commanding officerwrote about him to his family: "our unit was called to lead the front force in some of the toughest battles. In this area the combat against the enemy took place face to face and it received heavy bombarding of artillery, some of which hurt many men, including Sergeant major Tzach." Gid'on, son of Lea and Hanan, was born on 4.7.1950 in Tel-Aviv. He attended the A.D. Gordon elementary school and later on continued his education in "Tichon Hadash" high school in Tel-Aviv. Gidi, as he was nicknamed by his family and friends, started out as an ordinary Tel-Aviv guy. He was grew-up orphaned from a father after his father dies ten days after he was born, and his mother never remarried. His childhood went by without many upheavals and without special mentions. From a young age he was interested in everything relating to art. He read a lot, especially poetry books and plays. In time he began 'transgressing' with poetry. At first they weren't more than regular 'youthful transgressions' of a teenaged boy, but as time went by, after he did not abandon these vocations for many years, his friends started noticing the high quality of the songs he wrote, and some even predicted for him a future in the field of the arts. Nevertheless, Gidi was far from being a "book worm" whose head is in the clouds. From the age of ten he was an active member of "Ha'Shomer Ha'Tzair" youth movement and dedicated many hours of his spare time for activities in the movement's base, he organized activities, planned and wrote instruction plans and participated in every event. Towards the date of his drafting to the IDF he joined one of the movement's groups(?). 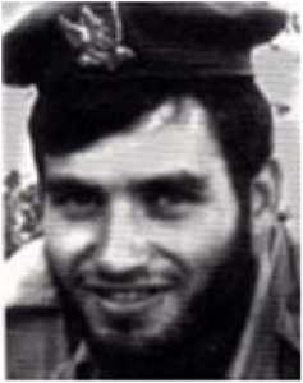 Gid'on was drafted to the IDF at the end of September 1968 and was stationed in the parachuted Nachal. After boot camp he was stationed in non-paid service in Lachish district. After a relatively short period of time he was appointed an instructor in the movement. Two months before his release from mandatory service he converted to the armored corps. During this process he underwent a basic course in the subjects of armory and underwent a continuing education program to become a tank gunner. After his release he applied to Tel-Aviv University, in the Department of Theatre Arts, and began realizing the many talents he was endowed with. At the same time his personality began to consolidate also from a political standpoint. He began protesting harshly against the war and at the same time joined the activities of Leftist movement such as "Tchelet-Adom" and "Moked". He began acting, narrating and even writing by himself. He mostly translated poetry and also wrote poetry. Up to one year before he fell he was a member of Kibbutz Beit-Kama. In the kibbutz he worked in the dairy-farming branch and at the same time was involved in diverse social activities. In Yom Kippur War Gidi took part in the defense holding battles in Ramat-Ha'Golan and in the breaching battles into the Syrian enclave. On 11.10.1973 when his unit attacked the Syrian village Chan-Arnava, his tank was hit and he was forced to abandon it. On his way back to our forces he ran into an ambush by Syrian soldiers and was killed in the exchanges of fire. He was buried in the Kiryat-Shaul cemetery. He left behind a mother, a sister and a brother. After he fell he was promoted to Corporal rank. 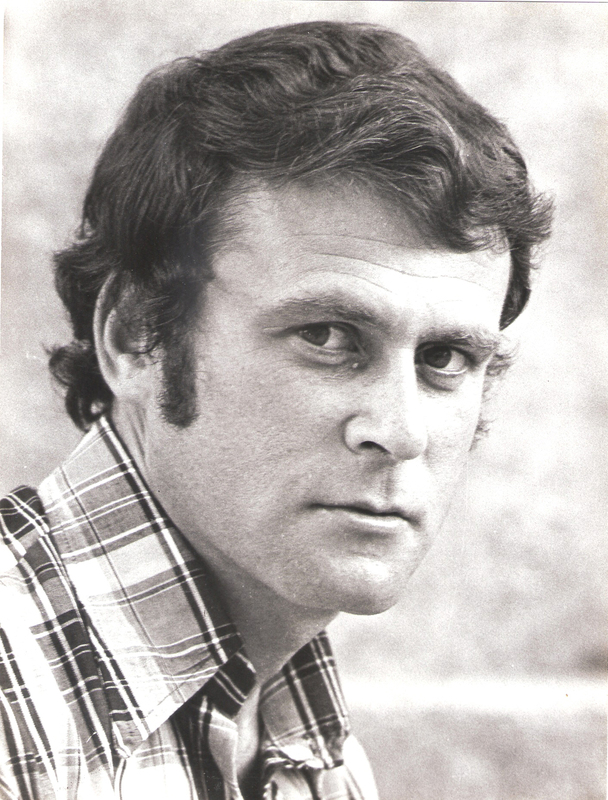 The Department of Theatre Arts in Tel-Aviv University, produced a play in his memory called "The Death Nests in the Edges of my Thoughts"; after his death, the book "Oh Barbara, What Prostitution War is" was published and sold in several editions. It contained his own translations for poems by Jacques Prévert, the Beatles, Bertolt Brecht etc. as well as wongs he himself wrote; also his poem "Love, Many Faces to It" appeared in Arik Einstein's album also by the same name. Son of Yaffa and Haim. Was born on 8.6.1961 in Ramat-Gan. He began his schooling in "Michlal" school and continued it in the humanistic track in "Blich" high-school. He flew to the United-States and Canada for summer camps in order to represent the Israeli boy scouts and the state of Israel as an accordionist for the "Caravan" band in 1978. Zvika was drafted to the mandatory service in the IDF, volunteered for a piloting course and completed it successfully. He was placed as a piloting instructor in the helicopter squadron and training camp in 1979. He served in many positions in the standing-track of the air-force: culture officer, instruction aides' development manager, film producer in the piloting school, and manager for the video studio. Zvika was blessed with many talents and his commanding officers attested that he possessed an abundance of thorough and organized creativity which was full of potential, and that he reached high achievements in subjects that he was fond of. His professional level was high. Zvika was accepted to graphic design studies in "Bezalel" but temporarily postponed his studies due to his decision to keep serving in the army. He coped successfully with his last position, which was complex and sensitive, extensive and particularly tough. At the same time he was accepted to film and television studies in Tel-Aviv University and in spite of the short time he was able to attend the university, he achieved great success. On 12.1.1987, Zvika fell while in the service, and was brought to burial in the War grave in Hulon. He left behind parents and a sister – Yael. He was 25 years old in his death. A certificate of gratitude and reverence for his standing army service signed by the head of adjutant general branch GHQ was transferred to the bereaved family. His family commemorated his memory in the Ein-Tayasim reservation in the Yehuda mountains, under the Israel Nature and Parks authority. This reservation was chosen due to Zvika's fierce love of Jerusalem and the Yehuda mountains. Gil'ad, son of Tzviya and Isaac, was born on 8.7.1949 in Kibbutz Hatzor. He attended the Kibbutz' elementary and high schools. He was a diligent student and received excellent grades in all subjects. According to his teachers he was a friendly, quiet and disciplined boy who had a mature approach to life. His friends indicate that he emanated love for life as well as for his fellow men and that he was always ready to assist others with advises or deeds. From a young age he was interested in music. He learned to play the harmonica, recorder and accordion and later on continuing education in playing the electric organ and piano. Gil'ad was a member of "Ha'Shomer Ha'Tzair" youth movement and a year before being drafted to the IDF he worked in guiding youth in the movement's Ashdod base. Gil'ad was drafted into the IDF at the beginning of July 1968 and was stationed in the armored corps. After completing boot camp he went on continuing education at a squad commanding officers course and a parachuting course. Since he felt that it's in his power to contribute even more to the army he asked to be sent to a commanding officers course. Gil'ad passed the tests with good grades and completed the course successfully. Ha was appointed a deputy assistant chief of staff for operations in the armored corps and later on served as a platoon commanding officer. He was an excellent soldier and commanding officer. His commanding officers remark that he was responsible and dedicated to his job and that he set an example to his unit friends and his subordinates with his good nature, his tolerance and his punctuality in fulfilling the orders he was tasked with. Gil'ad was dedicated to his soldiers and cared greatly for them. He wasn't strict regarding disciplinary protocols, however he did demand full execution of his orders. During his IDF service he made efforts not to worry his parents. He visited his school many times and never talked about his achievements, out of humility. He never complained about hardships and even used to frequently state that he loved the army life. In the midst of 1971 Gil'ad was released from the IDF and went back to his Kibbutz. For two years he worked in the agricultural settlement and afterwards began studying in the music academy in Ramat-Aviv. When Yom Kippur War broke out he joined his unit's men and fought in Ramat-Ha'Golan area. On 19.10.1973, as he headed out to rescue a wandering tank, he happened upon a bombarding and was killed. He was buried in the Kibbutz Hatzor's cemetery. His parents published a booklet in his memory that contains words about his characters from his friends, as well as letters he sent from the army. Fell on 17.10.1978, 32 years-old in death. 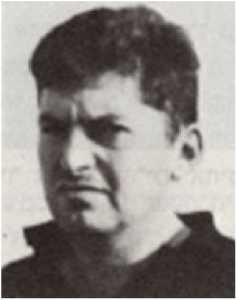 Ya'akov was born in Romania in 1946 as an only son to Gisela and Iser Zomer. After completing junior-highschool he studied machine engineering in Ort Technikum in Givaataim. Already as a teenager he was popular among his friends, possessing a sense of humor and an endless passion for life. He combined various worlds of content such as painting, singing, body-building and sports. Before being drafted to the IDF he completed his studies in the Handesaim high-school, but already during his studies it was clear that he was attracted to the world of art in general and to acting in particular. 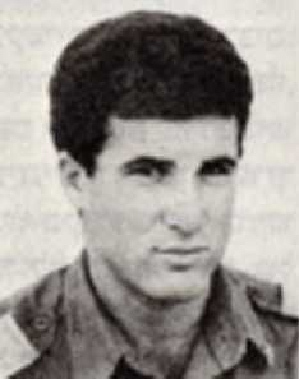 Ya'akov (Yankale as he was nicknamed by his friends and family) was drafted to the IDF and served in the air-force as culture and education NCO. During his service he was badly wounded on the banks of the Suez canal in one of the first Egyptian bombings that marked the beginning of the War of Attrition. He lost one of his vocal cords and a shard remained in his throat. He was recognized as an invalid by the IDF in lieu of his injury. With the completion of his army service he fulfilled his dream and despite his injury and disability applied for studies in the Department of Theatre Arts in Tel-Aviv University's Faculty of the Arts. He also managed to work in Tadiran in the field of machine engineering alongside his academic studies. After completing his B.A. degree he left his job in Tadiran and began teaching movement in the Department of Theatre Arts. He managed to finish his M.A. degree in theatre and submit his thesis, before passing away. That was Yankale - possessing an incredible ability as a delightful, moving pantomime, touching everyone he comes across. In one gesture or a series of movements, or a banal scene, creates a whole world on the stage and hypnotizes his audience. He fascinates them with his glimmering eyes, a creator for whom even the sky is not the limit. Yankale also worked with Aliyat Ha'Noar's "Art mobile unit" and in a short while found the way to speak with the children and teenagers in a manner new to them, while fascinating them with the foreign and strange world of theatre, making them arrive with his into the magic in the theatre. Yankale with the children - humane, attentive, excited, touching in their most restrained of places. Yankale was a pantomime, a movement teacher and a movement designer in the theatre. He worked with Be'er Sheva Theatre, Habima Theatre and the Cameri Theatre. He also decided to work at directing, and began his new way as a director also. As a creator he searched for new channels of expression and was also involved with creating Theatre masks. His friends and students in the Department of Theatre Arts in the University speak of a gentle, kind, very generous soul, a true friend, while at the same time assertive in his quiet way. His injury during the war of attrition hurt him in tragic circumstances: he died while diving in Sharm A-Shech, and it turned out that his death was caused due to his war injury. After his death he was recogniszed as a slain person by the IDF. He left behind a father, a wife and a son. Blessed be his memory.